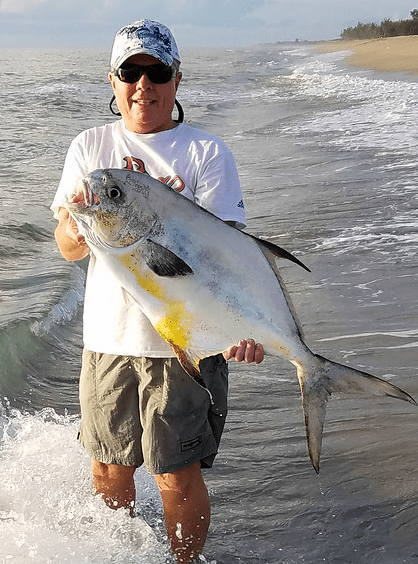 Caught this 33-inch permit in Jensen Beach. Fishing light tackle for whiting and croakers from the beach when this big guy hooked up. Fought it for a half an hour before finally landing it. We both were revived and the fish was successfully released! Made my day!